In September 2018, Hurricane Florence struck the Carolinas leaving in its wake extensive damage. Aidnow, in partnership with Forefront Church, Two Rivers Church, and International Disaster Emergency Services, jumped in to provide financial aid and sent team members down to help with clean up and rebuilding. 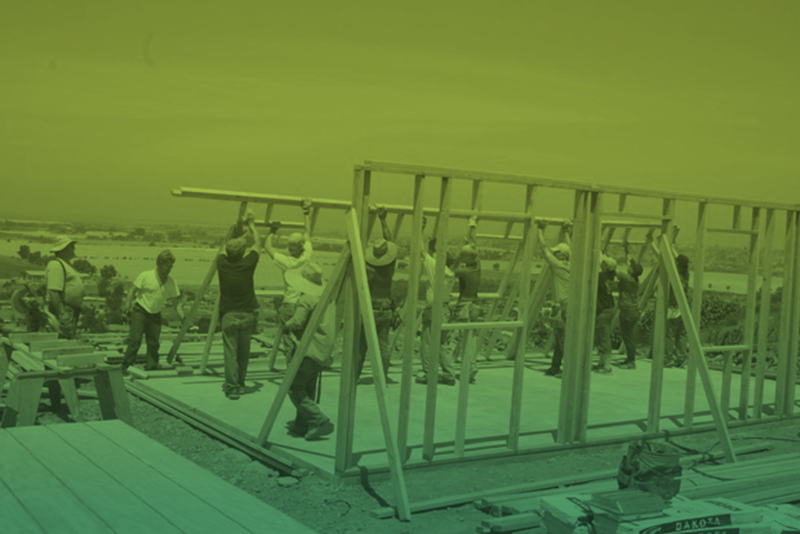 Aidnow funded the building materials for a new home for a family in Mexico through Yugo Ministries. To see an example of how this amazing opportunity can transform a life, watch the incredible story of the Escamilla family. Then mid-October, we personally delivered boxes of clothing and additional supplies. The holidays are a very busy and important time at Union Mission so they need a lot of community support and involvement. We've worked hand-in-hand with some wonderful humble servants. This is truly what God calls us to do… serve others in our community. We hope that through aidnow, we are able to show God’s love and make a difference in the lives of those less fortunate. Early 2011 brought the news of the devastating earthquake in Japan and the opportunity to team up with our partners at Virginia Beach Public Schools to promote a city-wide concert at Princess Anne High School on April 11th. Over 400 attendees supported the event with monetary donations for relief efforts in Japan plus they also brought food donations for the Foodbank of Southeastern Virginia. It was a night to reflect on the suffering in Japan and the needs of our own community. Thank you to all of the incredible high school musicians for donating their time to put on this benefit performance. Weather continued to amaze us this Spring as tornados ripped through Alabama leveling complete neighborhoods and communities. We learned from our friends at Forefront Church in Virginia Beach that they planned to “Stuff the Truck” for victims and literally drive a mack truck filled with clothing, personal hygiene products and baby products right into the areas most affected. On May 12th, Board Members, Monica Laurendeau and Jessie Calevas shopped for those items and also contributed 10 boxes of jeans. Thanks Forefront for taking the initiative and making a difference. Here’s couple of pics of AidNow lending a hand.